Bed and Breakfasts near Knockhatch Ski and Snowboard Centre for 1 night from Sat Apr 20, 2019 to Sun Apr 21, 2019 within 25 miles, in an Average Nightly price range of £1 to £200. We offer you a warm,friendly family atmosphere to rest & relax in.Whether on business or pleasure we aim to provide you with a memorable visit,all rooms are en-suite,with Tea/coffee making facilities,WIFI,Private carpark.Ground floor rooms available. 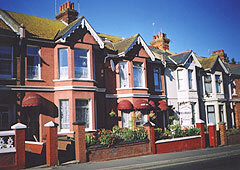 The 4-star Guesthouse East is pioneering - the face of new Eastbourne. Self-catering accommodation with the option of B&B that is contemporary yet laid back, stylish yet comfortable - the ideal place to escape with family, friends or that special someone. The Cavendish Hotel faces the coast on Eastbourne's Grand Parade. Many suites offer wonderful views of the English Channel. Cavendish Library is a quiet, relaxing space to read or enjoy coffee. There is a choice of guest lounges, and Wi-Fi is available throughout the building (for an additional cost). Marine Restaurant looks out to sea and serves local produce in pleasant surroundings. The bar overlooks the beach and serves a popular lunch menu. The hotel is 10 minutes' walk from Eastbourne's shops and the Arndale shopping centre. Eastbourne Rail Station can also be reached in 10 minutes on foot. 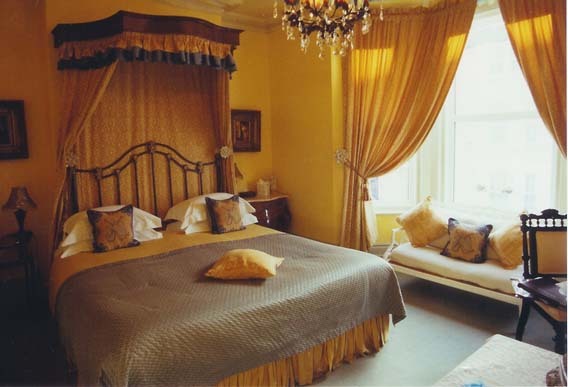 Situated in the heart of Eastbourne The Berkeley is a well-established Victorian Guesthouse with just a few minutes stroll to the promenade beach theatres and conference centre not forgetting the band stand which holds performances nearly every night from May to September. br / br / br / br / With a wide selection of different restaurants and cafes all within walking distance you will be spoilt for choice. Eastbourne Railway station is a 10 minute walk as is the town centre. br / br / br / br / The Berkeley Guesthouse offers a warm and friendly welcome to all guests. br / br / br / br / The rooms are well appointed and sympathetic to the building vintage and its surroundings. This is a conservation area with the typical multi storey town houses which are what you would expect of Eastbourne. br / br / br / br / All our rooms are en-suite with complimentary toiletries for your arrival luxurious towels Free Sat TV alarm clocks complimentary beverage making facilities and hair dryers. An iron and ironing board can be requested from Reception and delivered to your room. br / br / br / br / The guest house is modern well furnished and we make an effort to extend a warm welcome to our guests. br / br / br / br / Our check in times are from 14:00 to 19:00 and the check out time is 11:00. Catering for guests looking for good quality economic accommodation within a friendly welcoming household. Single double and family rooms available all year.